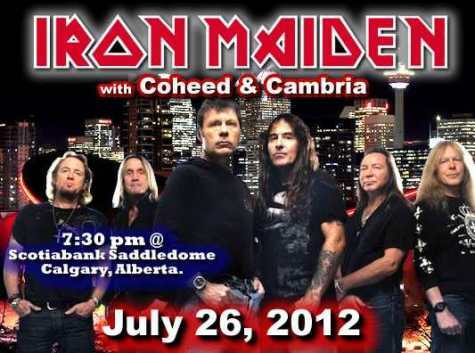 Iron Maiden have posted a six-minute video report from the Canadian leg of their "Maiden England" tour. You can watch it below. Guitar Center TV has uploaded video footage of Adrian Smith talking about his roots, relationship with Jackson and his Jackson Adrian Smith Signature SDX guitar (lower video).